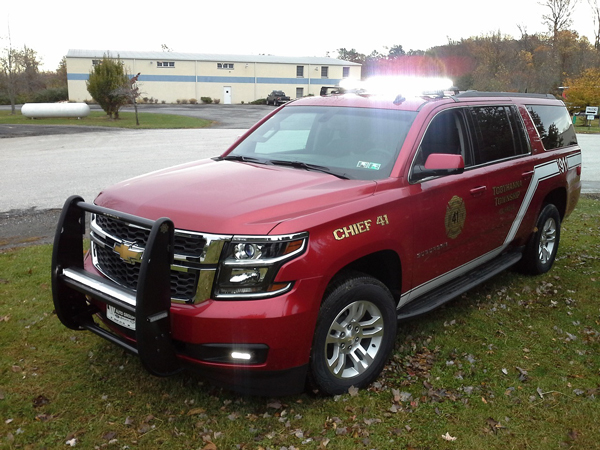 Emergency Vehicle Outfitters is a Pennsylvania based upfitting company that specializes in building emergency vehicles throughout a multi-state area. In addition to our police work we also are a premier upfitter of Fire and EMS vehicles. Having been in business for over 14 years we have established relationships with all the major emergency lighting/ equipment manufacturers and suppliers providing a wide range of product offerings. From ambulance, to fire truck or command unit we can not only build with factory equipment, we have the ability with our fabrication department to get creative and work with your specified needs. For field assistance and consultation please contact us and we will have a sales rep come and visit with you.